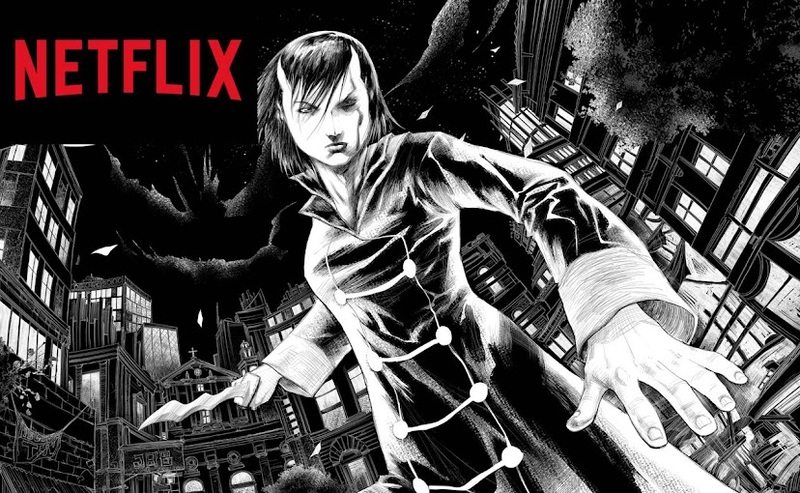 In a city where the aswang control everything that is illegal and where ancient gods seek to control everything else, enforcing the law can be a very difficult task. A mysterious racer has been breaking the speed limit, running after and capturing criminals. A masked giant has been demolishing drug dens and breaking up gangs. Trese Book 5 is now available in all bookstores. To make sure your favorite book store orders copies, please go to their Customer Service Counter and place an order for the book. Give the following information found below. Give them your contact info/telephone number and they'll call you when your order arrives. Thank you very much for all the support! GOT MINE TODAY! Wooohooo! At galit na sa akin ang mga kaibigan ko dahil pinagkalat ko sa Facebook na nakuha ko na sa Komikon at sila magiintay pang lumabas sa bookstore. Wonderful book! So excited for the next! Alam ko kakalabas lang excited na ako sa next pero kasalanan mo yan, ganyan ginawa mong storya e.
Hi all! 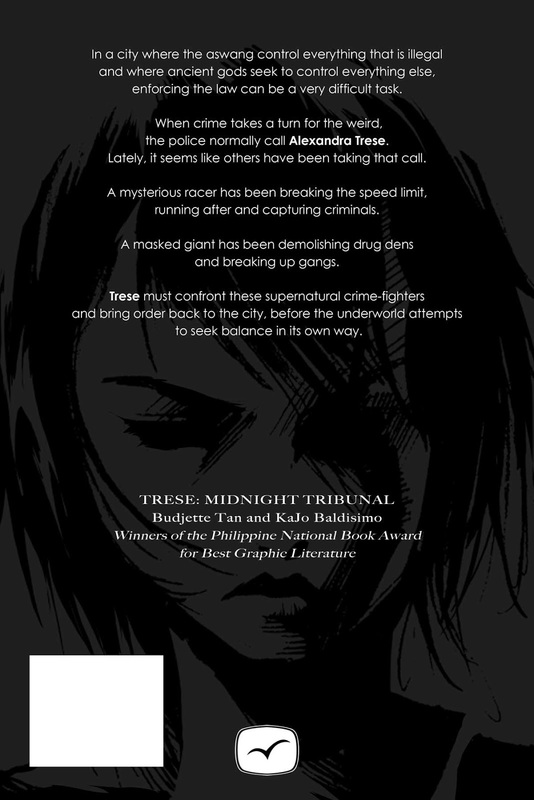 I'm opening up this comments page for people who've already read TRESE 5: MIDNIGHT TRIBUNAL. Here, you can talk about what you liked about the book and you can talk about what you didn't like about it. Feel free to mention specific details about the story and characters. So, until the book gets nationwide distribution, this should be the only place where you can mention spoilers about the story. Okay? Let's hear what you really want to say about the book! As each volume goes out, Kajo's art style improves as the details of each character and surrounding are more pronounced. From the usual heavy dark lines, I can see the soft details more in this volume compared to others. In short, I can't wait for the next volume. I want to know if other beings like Bagyon Lektro will come up in the next volume or if the Tikbalangs would sway from their agreement or if the 'Madame' is really the head honcho or working for someone (I doubt Talagbusao)...I may never know 'for now' til I see the next volume. And I'm patient enough to wait for it since I know it would be better. Amazing, amazing fifth issue! Still hung over it and craving for more. Love the addition of the Madame to the comic. Glad that you guys gave Trese a real story to get into, instead of involving her in the usual isolated detective cases. Found the Maliksi and Trese parts fun to read as well. I'd love to know what's going to develop between the two, haha. Ganda po ng latest nyu! Parang magiging madugo ang laban sa 6 ah. 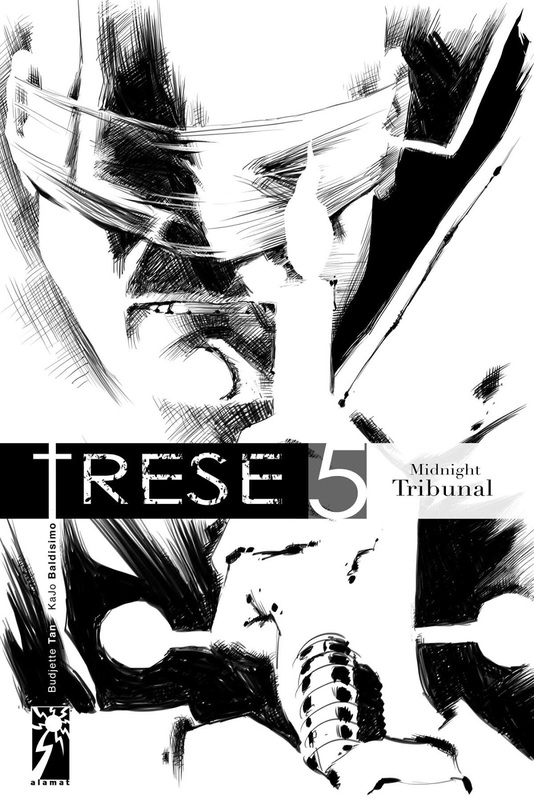 Great work as always on Trese specially with this latest book!! :D If ever, there's just one little nitpick I have if ever for the book. The 3 lawyers (who supposedly used the scales of Datu Runggan) and became the "Judges". Wow! Thanks for pointing that out. Goes to show what happens when the author doesn't fact-check/back-check his sources. You're right, I should've either used Bong Revilla or Richard Gutierrez. I think I ended up using Richard Gomez because he started in a movie called Super Islaw, which made me think that it was a Captain Barbell movie. loved it! all along akala ko richard gomez was a red herring para di lang namin ma-gets agad ang connection ng 3 lawyers, parang substitute for richard gutierrez. reminded me of how my mind was blown with the darna tribute. and nice tip of the hat to dolphy. and scales of justice and barbell? clever! oooh the madame character is great! i didn't know where you where going with this and i am immensely satisfied! gusto ko pakita kay imeldific ang legacy nya! can i just say i loved the (kuyog) part? HAHAHA it screams lito lapid all the way. and the charm of the iron butterfly, the madame, people say it's really irresistible. and finally the costume of the judges! i looked closer and saw the CB on their costumes. awesome job you guys! cant believe it's been a year since you last released something. more power sirs! Thank you very much for that feedback! Goes to show that I should never trust wikipedia! hahaha! Maganda na naibigay kay Trese yung "Scales of Datu Runggan". Possible na in the future it will be forged into an enchanted weapon/armor. Sana malapit na yung Book 6.
since the war between Alexandra and "The Madame" is brewing, I'm just wondering, what if "The Madame" was a dyosa or a rival babaylan? Maliksi did say she's more enchanting than any engkanto he's ever known. And how will she fight her with only the twins, Maliksi, her brother, the scales of Datu Runggan against maybe her own allies? She may lose the support of the Tikbalang clan, the Lightning clan hates her, the Aswang and Manananggal clans are too chaotic, the dwarves and engkanta are not combat-worthy and she's running out of allies fast. Can she have like a really powerful ally, like a son of Bathala, heir to his father's throne, exiled because of treachery and seeks redemption in helping Trese in her crusade? With the catch that he cannot kill, only disable or seal away enemies, and who maybe can be a love interest to Alexandra. Thanks for the comments, ideas, and theories. Me and Kajo are also exited to see what will happen in the next TRESE book! Mabuhay kayo Budjette at Kajo! The character are just getting better and better as well as the fight scenes! Great job in reinventing Manila and its old tales. It's really fun to see modern elements to the old stories I used to hear as a kid. I can't wait for the next one :) When will Basilio/ Happy's brother get a name? finished 1-5, kelan lalabas ang 6??? Isa na rin ako sa sumusubaybay ng Trese. (parang teleserye lang ang peg) Lol. At masasabi kong avid fan na rin ako ng mga gawa n’yo. Actually, wala sa hilig ko at trip ang pagbabasa, lalong lalo na ng komiks. Lately na lang ako sinipag mag basa kung kelan tumanda na. (hahaha..) pero sabi nga ng na meet ko na new friend sa Aklatan.. It’s never to late too read! At totoo naman. Anyway, hindi ko alam kung ano bang meron sa Trese na yan at napabili ako ng isang bagsakan. Lintik! Take note: Binili ko yung 5 series in 1 day kahit na out of the budget ang lola mo. Pero keribels lang.. kasi gusto ko talaga mabasa at malaman kung anu ba yang Trese na yan. Isa pa gusto ko din magkaroon ng kopya at naaastigan ako sa gawa, pati layout cover ang angas! Sa ngayon wala pa ako kopya ng Diabolical pero pasasaan ba’t magkakaroon din ako ng kopya nyan. Ang isa pa sa katotohanan eh, matatakutin ako. Kahit horror/thriller films hindi mo ako mayayayang manuod. Pwera na lang kung sa tanghali. (hihi..) Ang masama pa nito na dadala ko pa sa pag tulog ko. Kaya nga natatawa at nagtataka din ako sa sarili ko, akalain nyo yun nagawa ko pa talaga magbasa ng komiks. Kahit na alam ko na matatakutin ako at babangungutin ako. Kahit na alam ko naman kung anong klase ng komiks yung binabasa ko. Eh, basa pa rin talaga ako. Kaya nga yung Trese 4 nyo! Medyo relate ako dun. Yung bangungot syndrome. Lol. Umaasa ako na hindi pa sa Trese 5 natatapos ang kwento. Marami pa ako gusto malaman at aabangan. Isa lang ang masasabi ko. Makes me proud to be a pinoy!! Sobrang excited na ako sa book 6 at sa mga future pinoy pop culture references nyo. hahahaha!! the kambal is just too awesome. pero ano ba talaga pangalan ni Kuya? Crispin ba talaga?? sa una nakita ko po yung Trese nagandahan lang ako sa guhit..tapos binili ko Trese #1.. immediately after ko matapos gosh!! ang husay at eto pabili na po ako nung #5... question lang po.. may release date na po kaya ng Trese #6?? more power po sainyo! husay ng pinoy! saang store po meron pang book 4? kumpleto ko na ang book 1-3, at meron na din akong 5. book 4 na lang! kumpleto ko na po ang books 1-5, eagerly waiting for book 6. Congrats on the selection of the trese books as part of Deped's learning materials. ang galing!